What is the vision of Ganga that you think will be achieved by the implementation of this plan? Vision is obviously that we want aviral (uninterrupted flow) and nirmal (unpolluted flow) Ganga. It has to be considered as an ecological entity and it has to be realised that it is a geological entity as well. These are the four basic principles that we are based on. I am interested in understanding what the efforts are (towards restoring the Ganga) and how each effort interlinks with the other. What is the approach you have taken? See, we have essentially almost looked at all kinds of factors and stakeholders. But our approach was very non-traditional, in terms of actually consulting them or involving them. So we may not have formally involved anybody. Where it was necessary, there we have. We have had several round table discussions with industries. We also organised formal meetings. As part of our project, at the highest level we had the project management board. The constitution of this board was that all the directors of the seven IITs were there. And then we had three expert members in that. Then there were representatives of three ministries of the Joint Secretary level from MOEF, Water resources and human resources. We had created various thematic groups. What are the steps you recommend be taken to achieve 'nirmal dhara' ? So my worry is not to build STP. Let that investment come from the private sector. I will only purchase the water. In this, the government does not need to invest, private parties will come forward for that. The local body will also get money from the reuse of this treated water. The STP operator will also get revenue. Industries should recycle their water completely. But suppose a 100 units of effluent is produced, only 70-80 units of recycled water can be reused. The remaining balance should be made up by treated sewage. It is difficult to implement this by regulation and policing. For that, you need to do pricing. We need to decide to price fresh water at 1.5 to 2 times that of treated water. After this is done, you don't have to apply any ceiling to the industry, or worry about a license, because all their water is getting recycled. Some other things we are insisting upon are those that even if it is very small in quantity has a very high importance. Like religious pollution, whether it is flowers or puja material. We are saying that our religion also does not say that we should throw it here. We have tried to convince the spiritual leaders that it is your responsibility to tell society that this is a sin. 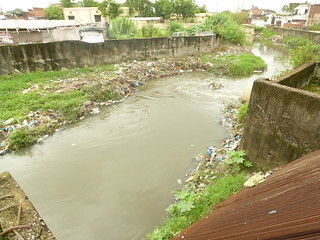 For aviral dhara we have categorically said that river's continuity, longitudinal connectivity and environmental flows needs to be seen. So no structure should come up on the river or its tributaries which violates this. There is no question of giving environmental clearance to such projects. Don't even ask MOEF to clear this. If at all this has to be done, it has to be a political decision at the highest level, in the larger national interest. As for the existing dams, it is like this. You have already spoiled the river in an irreversible way by constructing Tehri Dam, by constructing Koteshwar, This is an irreversible damage that you have done. How can the Ganga be Aviral with Tehri there? So we are looking at all possible options. Business as usual to the very extreme step of dismantling Tehri. I can even think of a technical solution; I can provide a river pass through the reservoir. Like by using a tunnel, we take a road or a railway below the sea. So complete connectivity is maintained upstream and downstream of the reservoir. Ganga Basin is the poorest in terms of productivity per unit of water. The landholdings are very small. Our agricultural GDP is only 7 to 8%. And 50% workforce is working in this. So one challenge is how can we increase the productivity per unit of water. That small farmers cannot do. Then there are two things. Either we say, 'okay, these are small farmers. Let them be there'. But then I create a system wherein he is supported in terms of technology or whatever. Call it a cooperative society or contract farming, whatever you want to call it. Second model is, you buy the land from them all. And give it to some big entity, he will manage the whole thing. What are the challenges you face in realising your vision of the Ganga? The most important challenge is, we have many actors. All actors say that Ganga is very important. Everyone wants to be connected with the Ganga. But everybody is sitting in different directions, and they see from their perspective. The main challenge is how to bring all the players to one side. We have defined all actors - state government and central government. Within the government, politicians, bureaucrats, technocrats all have a different residence time. This is what we need to align. We have looked at why things have failed. Our assessment is that all the actors have different 'residence times'. For example, the secretary has a post duration of not more than three years. So he is not interested in anything that spins for greater than three years. This is the same for politicians. For that we have said that we need to move from NGRBA, we need a separate entity which is above all the ministries. We have proposed a commission- The national river Ganga basin management commission. We have proposed an Act, the national river ganga basin management Bill. The commission will be created through this bill. Then the commission will not be controlled by the government. 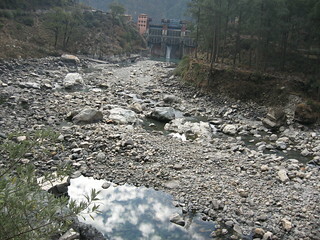 The main purpose of the commission is to be a custodian of the Ganga basin. We have done whatever work we have done based on whatever information was available. But we still believe that much of it is not scientific. Because we just don't have that micro-level data. There has to be a systematic drive. We should move away from a centralised government-controlled data collection to decentralised community-based data collection. Involve the community. And what are the opportunities you see? See the opportunity is that if you actually maintain Ganga and Ganga basin, our economic growth rate will actually go up. And that's the sustainability issue. What Modi is saying that if you really implement the spirit of zero effect and zero defect..isn't it? So I think we have the biggest opportunity. We have talent, we have manpower, and we have good climatic conditions. Such climatic conditions are not to be found anywhere else for work like this. Even if we are poor, in some things our standards should be better than other countries. Our spiritual and cultural standards are much higher than any other country, right? So with river-related, water-related, our standards have to be much higher because we are very susceptible. Dr. Tare is the head of the IIT consortium charged with developing a plan for the Ganga River Basin. A non-violent anti-dam protest wins!